Monterey, CA (January 10, 2019) – The 10th annual California Roots Music and Arts Festival is proud to announce their final round of artists for their milestone 2019 event. Cali Roots X will take place at the historic Monterey County Fair and Event Center from May 24-26, 2019. 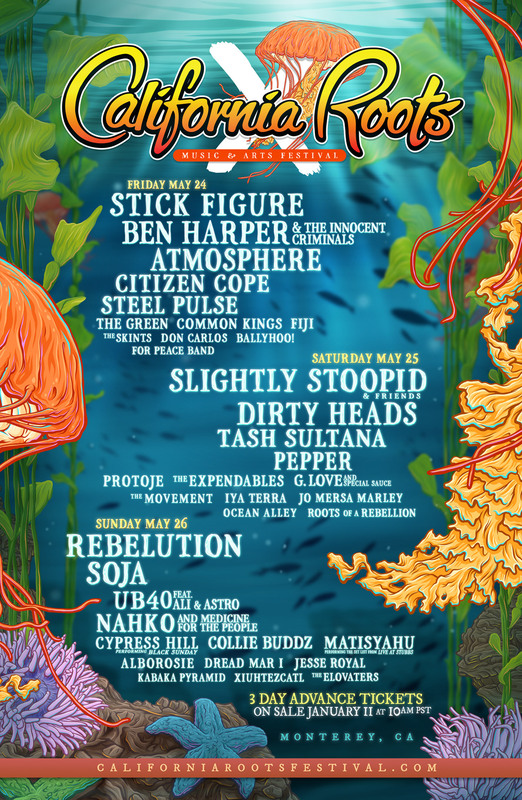 Adding to the already stacked lineup is Slightly Stoopid and Friends, Atmosphere, SOJA,Tash Sultana, Citizen Cope, Steel Pulse, The Movement, Jesse Royal,Ballyhoo!, Ocean Alley and For Peace Band.